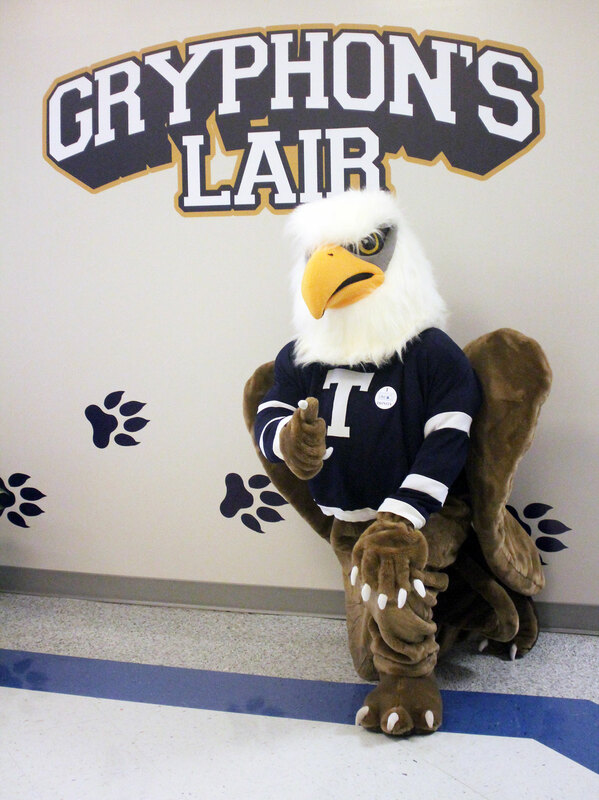 The Gryphon's LAIR (Learning Assistance and Institutional Resources) houses a variety of services for students at all grade levels. The large open space provides tables for small group study or instruction, as well as private carrels with windows for tutoring or confidential discussions with students or parents. Actively engaged in counseling students and their parents, beginning in the freshman year, the college advisor offers college planning seminars as well as one-on-one advising for the entire college search and application process. The college advisor cultivates and maintains relationships with college admissions representatives, who visit Trinity's campus regularly throughout the school year to meet students. Juniors receive thorough individual preparation for applying to college, from compiling resumes to requesting teacher recommendations. The College Advising page has more detailed information. Experienced in providing both preventive and responsive services, the school counselors collaborate with parents, teachers, and administrators to advocate for and empower students academically, spiritually, emotionally, and relationally. The counselors are available to all students for confidential counseling and/or mediation. They are also trained to aid students in crisis and provide appropriate interventions or referrals to outside counseling services as needed. The Dean cultivates relationships with students and parents to facilitate successful integration of all students into the school community. Attuned to the spiritual development of students, he is called upon to work with students and teachers in applying biblical principles to their daily behavior. The registrar serves students by assisting with course selection, tracking community service credits, monitoring attendance, and maintaining enrollment and grade records. Transcripts are provided, as needed, through this office.